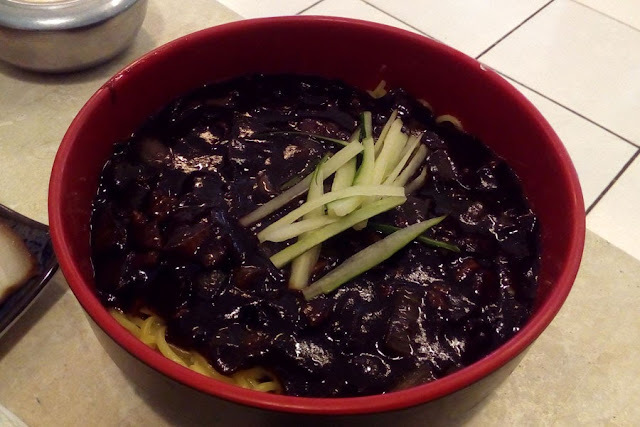 While trying to come up with blogposts about my last South Korea trip, I came across photos of jajangmyeon (stir fried noodles in black bean sauce), bossam (pork belly), and jokbal (pig's feet) which ignited a frenzied search for those dishes in Cebu. Going through the labyrinth that is the internet, I somehow found my way to Han Guk Kwan's facebook page which wasn't updated at all. I dropped a message (asking if they had any of those dishes on the menu) on the off chance that they might read it. I salivated when they replied in the affirmative. 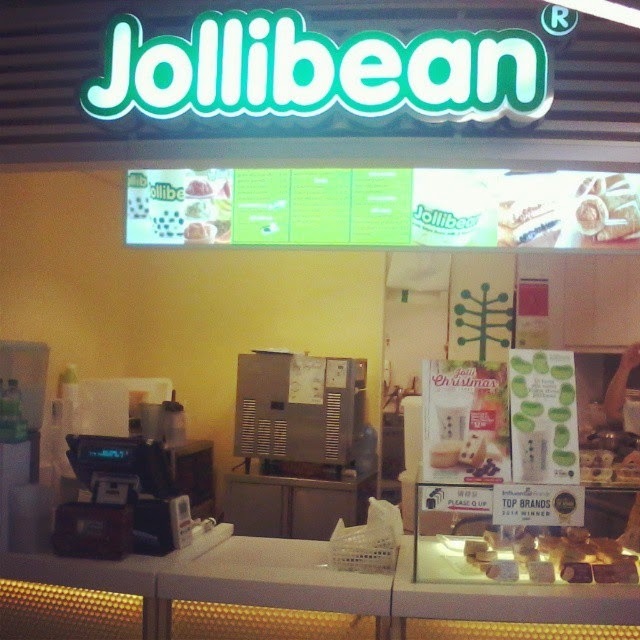 And my mouth became a faucet when they said they had a lunch promo for jajangmyeon and bossam! I rarely go out of the office for lunch but the only way to turn off the leaky faucet on my face was to stuff it with these dishes. I just had to go out and drag some officemates to help gorge on a bowl of jajangmyeon (lunch promo Php 100; regular price is Php 200) and bossam (lunch promo Php 250, bossam comes with a bowl of rice and a bowl of tofu stew). It was worth the over break that day! 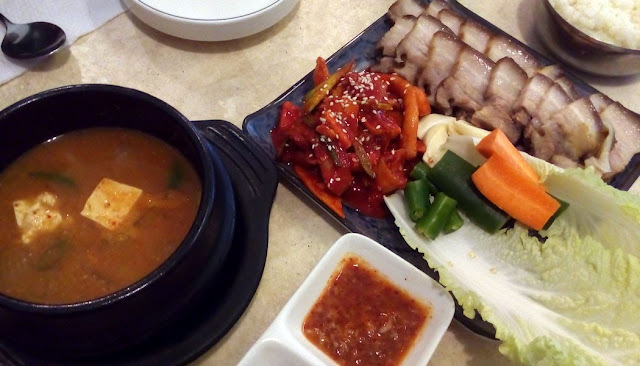 On the way back to work, I was already planning to go back to Han Guk Kwan to try the other dishes I had picked from their extensive menu: jokbal (pig's feet), dakdoritang (spicy chicken stew), and godeungeo jorim (spicy braised mackerel). A serving can feed two to three persons. Who wants to go with me? 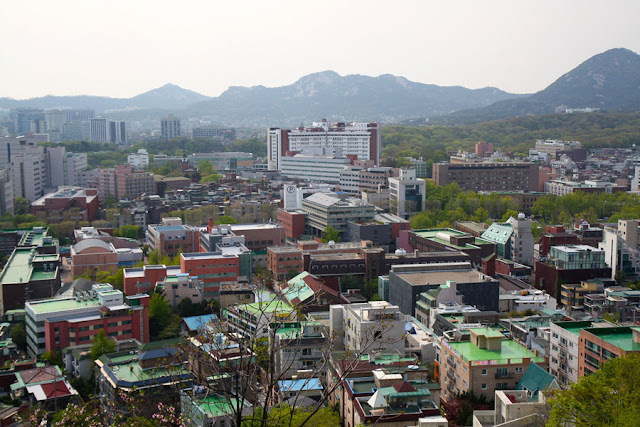 Directions to Jongmyo Shrine: Take subway line 1 to Jongno-3(sam)-ga Station, exit 11. Or subway line 2 or 5 to Jongno-3(sam)-ga Station, exit 8. Jongmyo Shrine is a 10-minute walk from any of the three options. 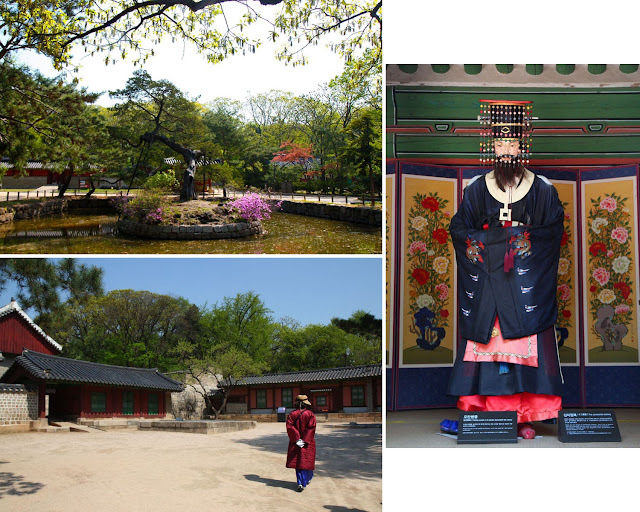 Jongmyo Shrine was founded in 1395 by King Taejo, the founder of the Joseon Dynasty. 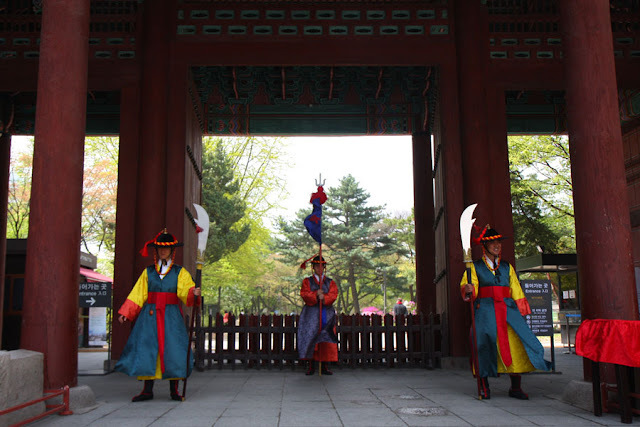 For centuries, Jongmyo Shrine was where the Confucian ancestral rites—Jongmyo Jerye (royal ancestral rites) and Jongmyo Jeryeak (royal ancestral ritual music)—for the deceased kings and queens was held several times a year. It is also where their spirit tablets are enshrined. Nowadays, the ritual is only performed once a year, on the first Sunday of May. It was a solemn tour around Jongmyo Shrine with only about a dozen guests. The structures in Jongmyo were plain and similar looking but it's the history and the ritual behind it that made it an interesting visit (thanks to the guide who spoke English well and encouraged visitors to ask questions). There are some countries that follow Confucianism, but it is only Korea that still performs this ritual. Eventhough Jongmyo Shrine is open from 9AM to 530PM, visitors can only enter during scheduled tours. Purchase an admission ticket at least five minutes before the scheduled tour. If you'd like to visit Jongmyo Shrine without a guide, you can do so anytime between opening hours on Saturdays and on the last Wednesday of every month. Added bonus on the last Wednesday of the month: free admission. If you plan to visit Jongmyo Shrine and all four palaces (Gyeongbokgung, Changdeokgung, Changgyeonggung, and Deoksugung), get the combination ticket KRW 10,000. 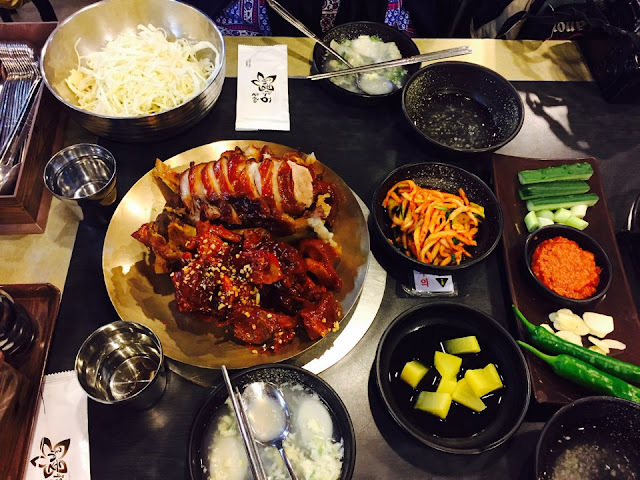 It will save you KRW 4,000. Visit on the first Sunday of May to witness the Confucian ancestral rites being performed. The Main Hall called Jeongjeon is where the spirit tablets of kings and queens are enshrined. 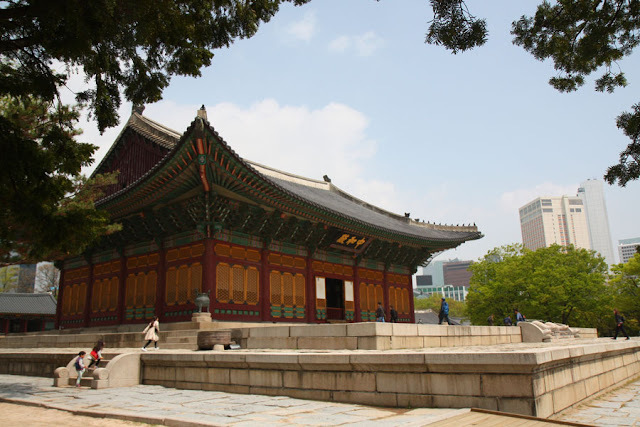 Yeongnyeongjeon or the Hall of Eternal Peace enshrines four generations of King Taejo's ancestors. Directions to Seolleung and Jeongneung Royal Tombs: Take Seoul subway line 2 or Bundang Line to Seolleung Station, exit 8. Walk about 5 minutes along Seolleung-ro, turn right to Seolleung-ro 100-gil to find the entrance to the park. There are 18 Royal Tomb sites, and five of these are in Seoul. 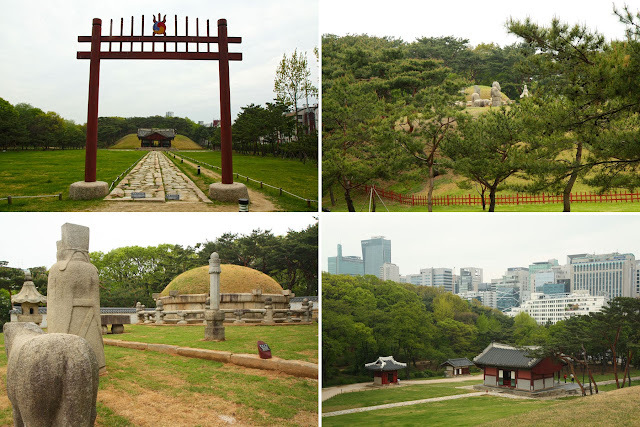 Of the five, I visited the Seolleung and Jeongneung Royal Tombs (also known as Seongjeongneung Royal Tombs), which is located in the same park and can be reached via a subway ride (for the other Royal Tombs around Seoul, one has to take the subway and bus). The tombs all look similar: it has a red spiked gate that marks the start of a stone path (the king's road on the right, and a slightly elevated spirit's road on the left—no man should walk on the spirit road! ), which leads to a shrine where the ancestral rites are held. There is also a small shed where tombstones inscribed with the deceased royalty's achievements are kept. Then a small hill where the burial mound, surrounded by stone figures and a low stone wall, is. Of the three burial mounds at Seongjeongneung, the burial mounds of Queen Jeonghyeon and King Jungjong can only be viewed from below the small hill where I didn't really see anything but grass and, if I made like a giraffe, heads of some stone figures. The burial mound of King Seongjong though, I did see up close, because it had a small viewing area off to the side of the wall that surrounds the burial mound. Music made not with instruments but with kitchen things like pots, pans, knives, ladles, vegetables. Who wouldn't want to watch such a performance? My friend (MinJun) and I settled in our seats in the Nanta Theater in Hongdae and having researched a little bit about it, MinJun told me Nanta is not only music, but a story (with minimal dialogue) of three cooks who are tasked to prepare a wedding feast by 6PM of the same day. On top of that, the three cooks also had to teach a new guy to cook and prepare food. It was also MinJun's first time to watch Nanta so we weren't really sure what to expect. When we emerged from the theater, we both had a wide grin on our face. 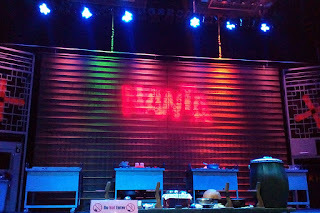 It was absolutely entertaining; the storyline and the actors were funny, the performance enjoyable. Not a second was a bore. (Plus the audience participated!). It was worth every won! Tip: If you have a Korean friend, maybe you could ask him/her to buy you a ticket online...there is a Korean website (I assume most, if not all, Koreans know about this website) that sells cheap tickets not only for Nanta but also for other shows and events. Thank you MinJun for finding KRW 25000 second row VIP tickets and not accepting my payment! The only photo I have on Nanta...because photography and videography are not allowed during the performance. 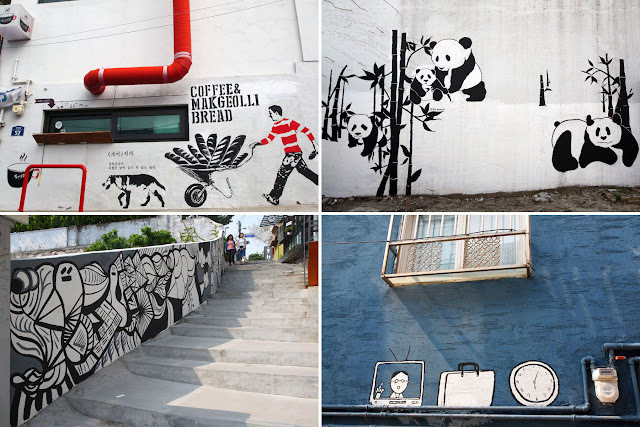 Directions to Ihwa Mural Village: Take subway line 4 to Hyehwa Station, exit 2. Walk towards Marronnier Park. GaEun, whom I haven't seen since 2012, took some time off to go sightseeing with me around Ihwa Mural Village. 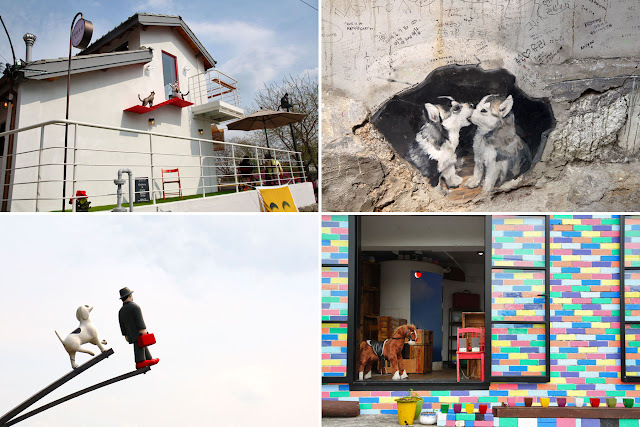 She herself hasn't been to Ihwa Mural Village and has been wanting to go. We walked around the village looking at murals, sculptures, and artistic facades. We walked and walked (and it was no easy walk...it was mostly uphill!) until we reached a viewing deck in Naksan Park. Only then did we sit, wipe sweat off our brows, and take a breather. If it wasn't so tiring, we would have wanted to look at every alley around the village! Tip: Wear good walking shoes! 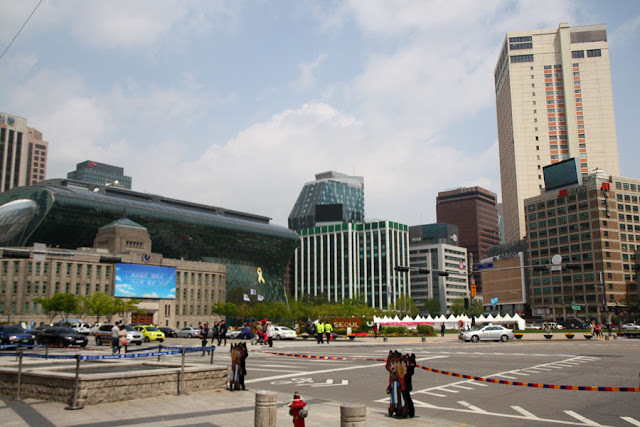 Directions to DDP: Take subway line 2, 4, or 5 to Dongdaemun History and Culture Park Station, exit 1. 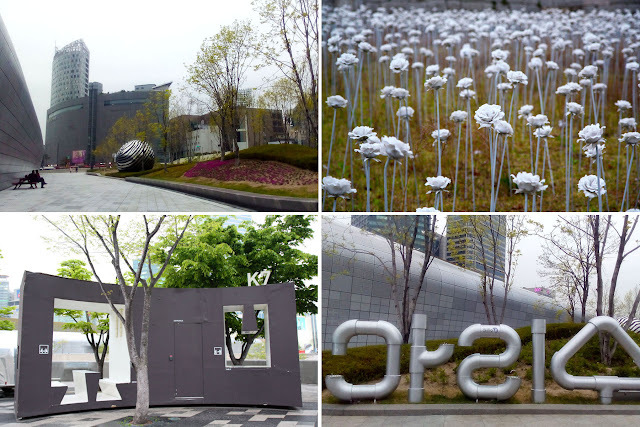 There are exhibit areas in Dongdaemun Design Plaza (DDP), but I was more interested outside. I spent some time at DDP's park just looking at the smooth curves of the DDP building, the sculptures around the park, and the LED roses (this exhibit has been extended until December 31, 2016). Tip: If you want to see the LED roses lit up, go to Dongdaemun Design Plaza after dusk. A blank slate for Day Two. All the planning was up to GaYeong, a friend I haven't seen in four years. She told me to meet her at exit 12 of City Hall Station (Seoul subway line 1 or line 2). Hugs and how-are-yous, then off to explore the area near City Hall Station. First up, a cup of joe at Jeongdong Observatory to warm the body that breezy, chilly morning. 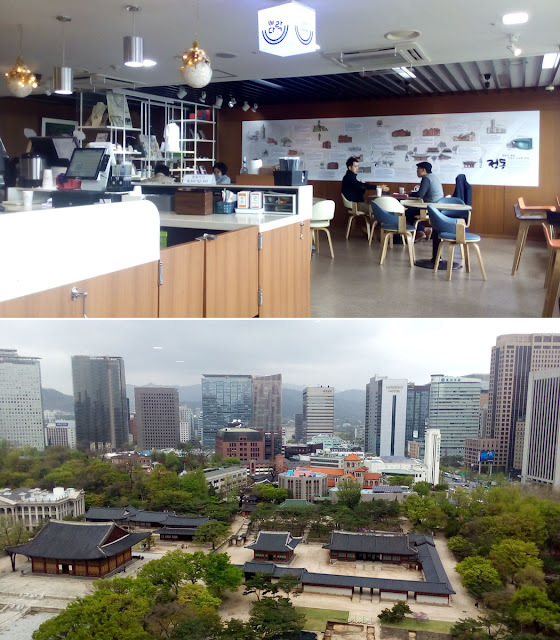 We went up to the 13th floor of Seosomun Building where the observatory slash coffee shop was. The observatory/coffee shop overlooks Deoksugung Palace; and a little to the right, Seoul Metropolitan Library, Seoul City Hall, and Seoul Plaza; and the tall buildings and mountains beyond. I was pleasantly surprised by this little gem of a coffee shop. It was a great place to catch up and to start the day. Warmed up enough, we went for a walk along Deoksugung Stonewall Road or Deoksugung Doldam–gil, the road on the south side of Deoksugung Palace. We strolled along the brick-laden sidewalks (with trees and benches every few meters) until we reached a little rotunda with a sculpture in the center. Then we traced our way back. Because, in truth, this stroll wasn't on the plan. It happened because we took a wrong turn. We were supposed to go to Deoksugung Palace straightaway after our cup of joe at Jeongdong Observatory. We went into Deoksugung Palace for one building: the Seokjojeon Hall, also known as Daehan Empire Historical Museum. GaYeong didn't tell me that she had booked us for a tour in the hall/museum that I dawdled around Deoksugung Palace grounds, causing us to be late for the tour. Thankfully, they still let us in. Seokjojeon Hall, a very western looking building, was designed by a British architect and construction started in 1900 and was completed in 1910. 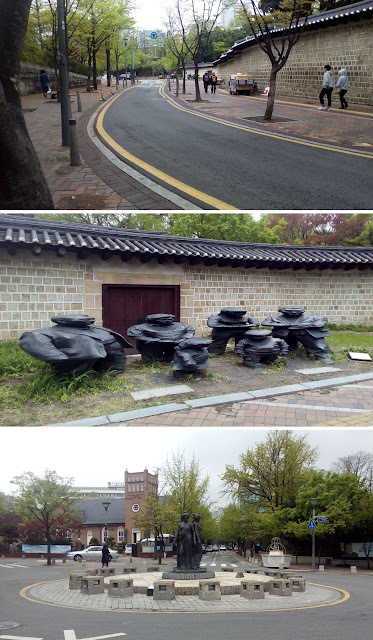 (Aside from Seokjojeon Hall, there is another western-style building in the palace grounds called Jeonggwanheon Hall and it currently houses the National Museum of Modern and Contemporary Art 국립현대미술관.) Seokjojeon Hall was originally planned as the official residence of Emperor Gojong but the emperor preferred staying in another hall in the Palace. Seokjojeon Hall then served as temporary residence of his son, King Yeongchin (the last crown prince of Korea). Seokjojeon Hall consists of three floors. It has a huge dining hall, the emperor's and empress's bedrooms, and the emperor's library. The interiors of Seokjojeon Hall were classy beautiful. Too bad the tour was in Korean that I went in and out of Seokjojeon Hall none the wiser. 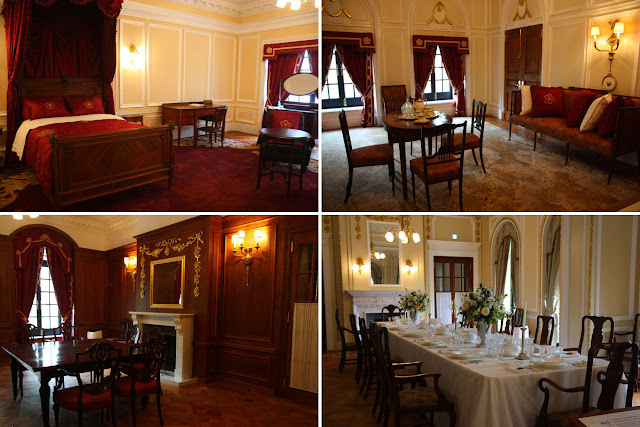 Empress's boudoir, grand dining hall, and privater dining hall. After the Seokjojeon Hall tour, we looked around the palace grounds. I had no idea what the history and significance of Deoksugung Palace was because it was already past the last free English guided tour (Deoksugung Palace English guided tours at 1030AM and 130PM only), thus no guide. Because I am nuts for books, even libraries are not spared. 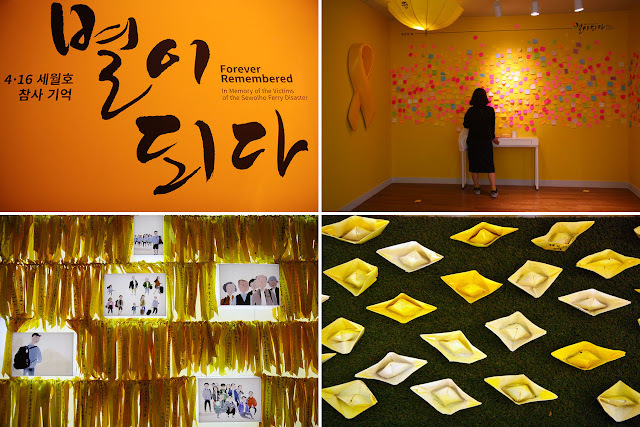 After Deoksugung Palace, we went into the Seoul Metropolitan Library, checked out every floor, looked at book spines (most of it was in Korean), and spent some time in a room dedicated to the Sewolho Ferry Disaster. We went out of Seoul Metropolitan Library a little solemn (effect of the Sewol Ferry Disaster memorial) and walked slowly to Seoul Plaza, just outside of the library. Seoul Plaza is an open space where events like exhibits and concerts are held here every so often and, in the winter, transforms into an outdoor ice skating rink. And then it was time for lunch at Seoul's Top 3 Jokbal (pig's trotters) restaurant: Oh Hyang Jokbal, tucked in an alley that took us some time to find. All the more aggravating our hunger. habalhabal driver, taxi driver, bus conductor, flight attendant, etc. Their job is long and tiring and kind of boring and maybe lonely. Be nice to them. Talk to them. Having someone to talk to would break the monotony. I remember sitting up front in a jeepney in Davao City years ago and got to talking with the driver. And one of the topics was Duterte. I asked him if he would like to have Duterte as president. He was on the fence about it... yes, because he believed it would be good for the country, and no, because he was afraid many would not like Duterte. During the 8km ride to Basdaku in Moalboal, I talked with the tricycle driver. It turns out he was from Luzon and moved to Cebu because his wife is from there (oh, love). I asked for his contact number so we could hire him again the next day (and we did). On the bus leaving Moalboal, he sent a text message saying thank you and have a nice day.